Hilaire Armstrong serves as the 2015-2016 Southern Regional Chair for National Black Law Students Association (“NBLSA”). In this role, this contemporary pioneer oversees all business and activities of the Southern Region, which includes the following states: Alabama, Arkansas, Florida, Georgia, Louisiana, Mississippi, North Carolina, South Carolina, Tennessee and Puerto Rico. Ms. Armstrong was also voted the “Emerging Young Leader” by the Samford University Greek Community. 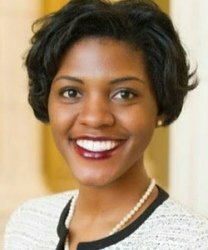 Upon graduation, she became an intern in the Alabama State Senate for the 2013 Legislative Session, working with Senator Vivian Figures and the Democratic Caucus.